Bhubaneswar : Sunil Mittal-driven telecommunications company Bharti Airtel Limited on Tuesday launched 4G trials exclusively for its costumers of Bhubaneswar and Cuttack. 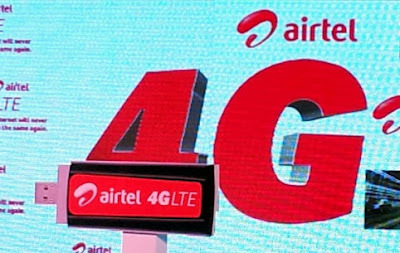 As part of the trial offer the customers can now avail a complimentary upgrade to Airtel 4G at 3G prices and experience Airtel 4G speeds, the telco said in a statement. The trail of the Airtel 4G enables superfast internet speeds and allows customers to enjoy capabilities like high definition video streaming with zero buffering, downloading up to 10 movies in less than 30 minutes, uploading entire photo albums in less than five minutes, connecting multiple devices without compromising on the experience. The CEO for West Bengal and Odisha in Bharti Airtel Ravindra Singh Negi said, "Today, as we launch Airtel 4G trials exclusively for our existing customers in Bhubaneswar and Cuttack, our customers in the city will be uniquely positioned to experience faster 4G speeds and wider network coverage - thus delivering a superior 4G experience,"
Airtel is also looking to incorporate feedback from these early adopters and leverage the initial market response towards strengthening 4G network infrastructure. The telco's device partner Samsung will allow Airtel 4G SIM swap for customers buying 4G smartphones. Airtel's data offer is currently available on Samsung Galaxy S6, Galaxy S6 edge, Galaxy A7, Galaxy A5, J5 and J7 mobile devices. Samsung will also offer bundled Airtel 4G SIMs along with select Samsung 4G handsets in the Indian market, according to telco.